I was concerned when I started this book because there was ALOT of exposition within the first few chapters. But the changing of perspectives in the novel and suspense sucked me in. The novel rotates between the perspective of Lily the protagonist, her twin sister Abby, Eve her mom and Rick her captor. The multiple perspectives worked well because they were mostly between the two sisters. The author did a great job of making me care and root for Lily and Abby, who are very different but completely devoted to each other. The bond that exists between the twins was one of the best I've seen described, probably because the author is a twin herself. "Each day, he'd taught her how to be a little less human. And now, everything she'd learned from him would be his undoing." This is a story of redemption, but it describes Lily getting her life together in a realistic way. Lily makes mistakes along the way and has to let go of the years she lost while being helped captive. The people around her also have understandably moved on with life, and have to readjust to having her back. Lily's captor Rick is clearly a psychopath but I liked getting a glimpse into his thoughts and experiences. The other characters are also fleshed out well, so no part of this book felt like filler. I felt a full range of emotions while reading, which is what good books do. Towards the end of the book things took a turn from how I thought it would go. The suspense was great and I couldn't read fast enough. This was a wonderful thriller, and I was pleasantly surprised by the author's ability to make the story different than the usual woman held captive narrative we've all been subjected too many times. I would recommend this book to adult readers who enjoy suspense and characters you can cheer for. 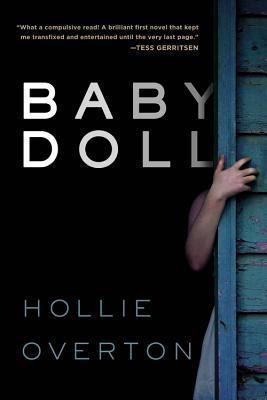 Baby Doll is my first novel, and so much of it is formed by my own childhood experiences. An identical twin, I was born in Chicago, IL and adopted at six days old, along with my identical twin sister, Heather and carried home in matching red Christmas stockings. 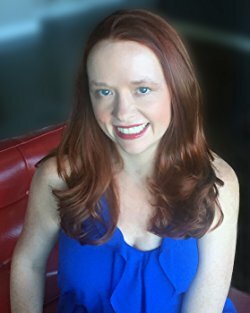 My first screenwriting break came in 2008 when I was accepted into the coveted Warner Brothers Writers Workshop, a boot camp style program for aspiring TV writers. I’ve gone on to write for CBS and Lifetime. I’m currently a writer and Co-Producer on the new Freeform drama Shadowhunters, based on Cassie Clare’s international bestseller “The Mortal Instruments.” There's nothing more I love than working with aspiring TV writers. I currently teach and offer private consults at Script Anatomy. I live in West Hollywood, CA, with the loves of my life, my rescue Chihuahua, Stevie and my British husband, David. When I’m not writing, I can be found exploring LA (and beyond) with my twin sister, Heather. Sometimes we even let Stevie and David join us.